The Twitter streets have been set ablaze by Ntando Duma and her deadbeat dad accusations towards Junior De Rocka. Parenting isn't easy, especially as a responsibility for a young couple opting to co-parent. The feud on social media started earlier this week after Junior De Rocka and friends posted about giving away charitable goodies at a secondary school, prompting Ntando to accuse Junior De Rocka of neglecting his own flesh and blood, their one-year-old daughter, Sbahle. 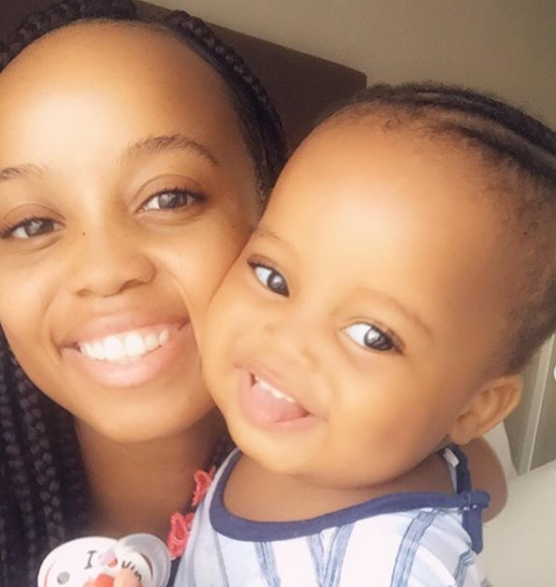 Ntando also shocked a lot of people when she stated that Junior De Rocka beat her up when she was two months pregnant, after she found him in bed with another woman. I'm so annoyed on Ntando's behalf!!!! What do you do with R3000.00 pay the worker who helps you only..
What about food, diapers, clothes, medical aid..
Black Twitter is all abuzz. The conversation has gone from 'Is three thousand for maintenance really enough?' to discussing how much people are really paying their nannies/help. Raising babies certainly isn't cheap. Junior De Rocka lives a very lavish life, constantly posting images of Moet bottles, Versace outfits, and expensive watches. Is what he is currently contributing fair?